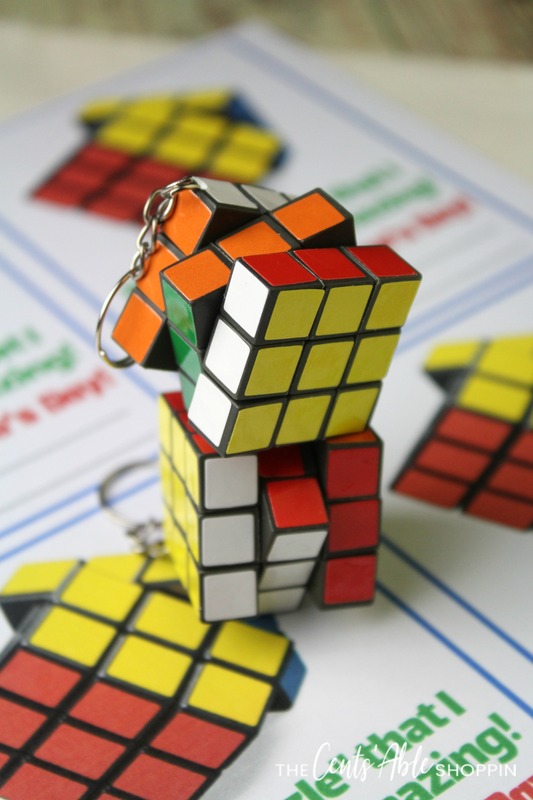 This free Rubik’s Cube Valentine pays homage to the classic 3-D combination puzzle invented in the 70’s — a classic for everyone, from young to old! With Valentine’s Day just around the corner, many parents are looking for cute Valentine’s that they can DIY at home. When my kids were in school, it was always fun to hear my kids come home and brag about the unique Valentine’s they got from friends. Though it seems as if most kids love getting candy, in most cases, they love the “other” fun stuff even more. Right?! At least mine did! From bouncy ball Valentines to good ol’ Rubber Ducky, unicorns, pencils and bracelets.. it’s fun to come up with new ideas. Especially when your kids are rad about something we had as kids. Who didn’t have one? We had one for years — it went on every family trip, and was that iconic toy we all tried so hard to master as kids. 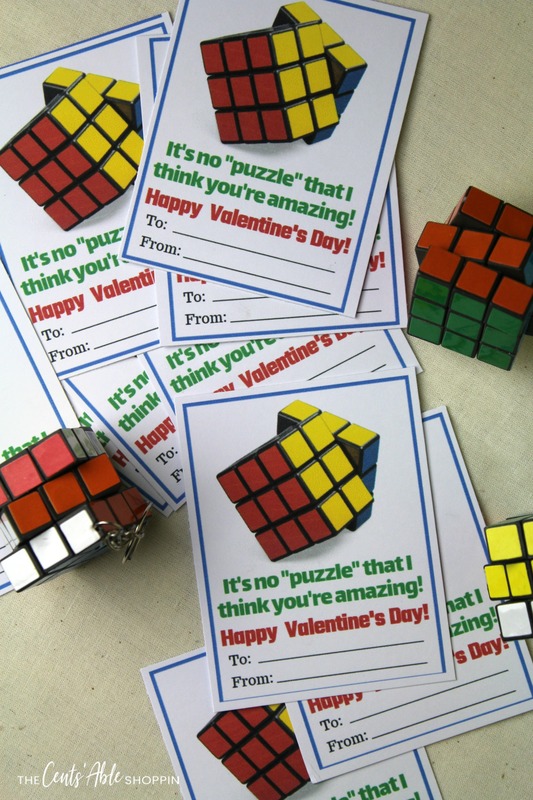 This Rubik’s Cube Valentine is super easy to print out on cardstock paper. 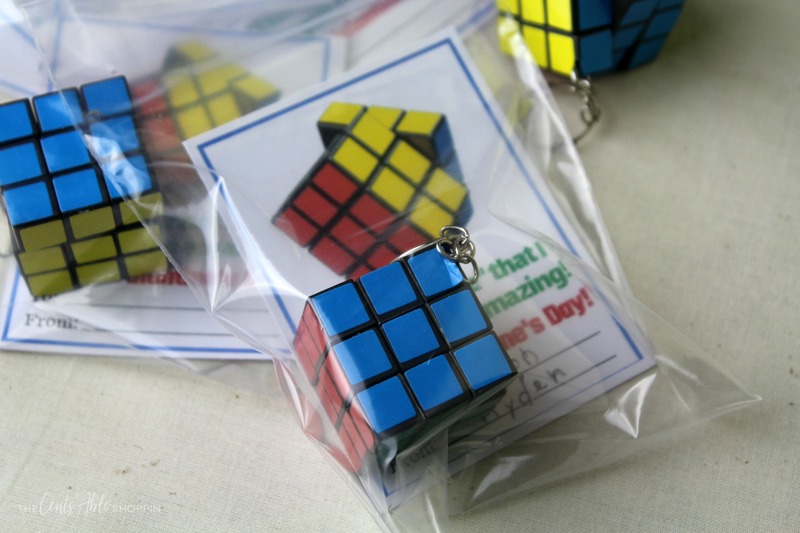 Pair with these cute Rubik’s Cube key rings and once labeled, throw them in a simple ziploc bag. I love ziploc bags because they are fuss-free and easy, while keeping the key chain tucked away nicely. Kids will love these keychains. They can put on their backpack zipper to serve as a zipper pull that keeps them busy at the bus stop or on the ride home! If you don’t have a color printer, send the cardstock to get printed professionally. Places like Staples, Office Max, Fed Ex Kinkos, or your local UPS are great options. Not only is it cost effective, they make it super easy. There will be 9 per page so print as many times as necessary in order to have enough Valentine’s for your child’s classroom. Cut the cards using a paper trimmer or regular scissors. 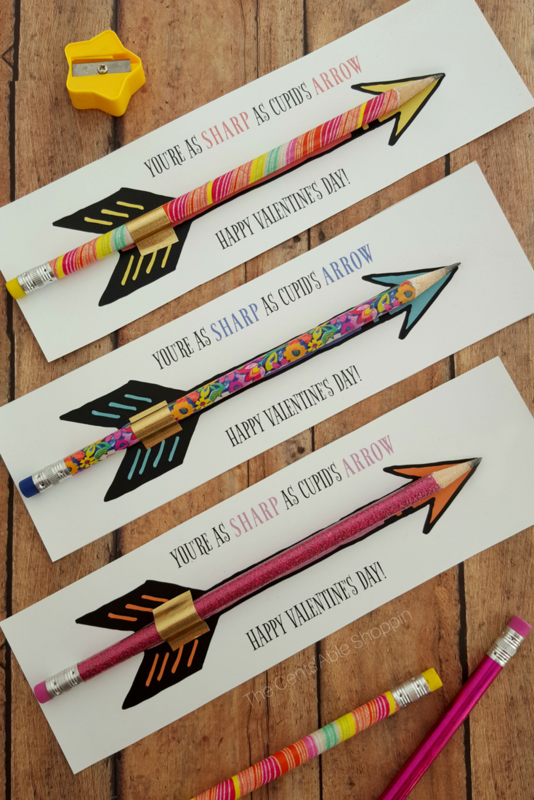 Have your child write their name on each Valentine. and tuck each Valentine in a ziploc bag with a keychain. 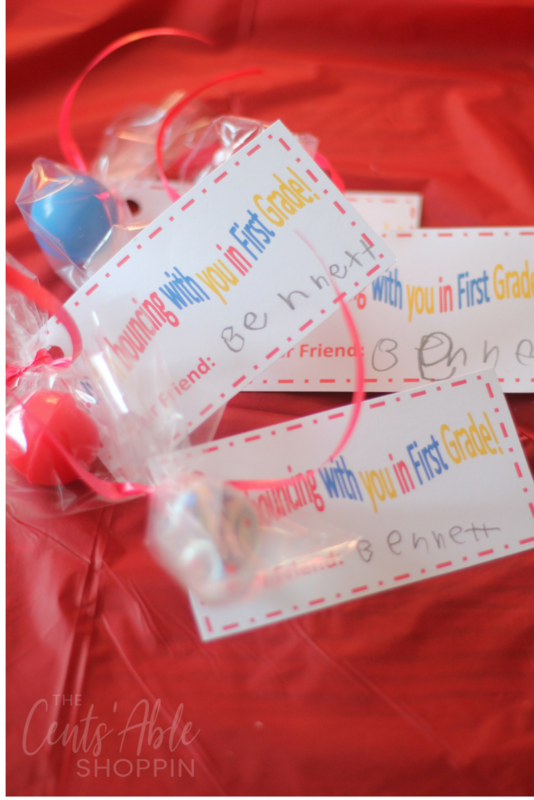 Then gather them up in a big bag so they can pass them out at their Valentine’s party at school. 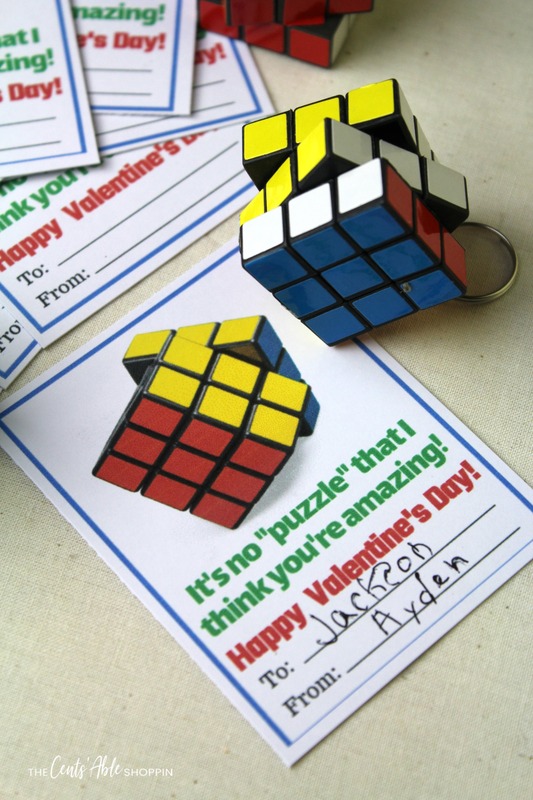 This Rubik’s Cube Valentine will be a hit for children of all ages. It’s unique, inexpensive and fun! If you are looking for more (FREE) printable Valentine’s, see below!